After ‘I Do,’ Now What? Marriage is a relationship that will transform you, if you let it. Saying “I do” is only the beginning of a lifetime of laughter, frustration, forgiveness, happiness, and deep joy. It’s worth it. There are two types of newlyweds. The first type has dreamed about marriage for years and looked forward to the date nights and romantic evenings that are sure to fill up their time and their hearts. They just know that everything will be perfect. The second type is equally eager but less optimistic. They assume life after “I do” will carry on pretty much as it did before. And if they’ve lived together before marriage, they probably don’t think much should change. Life together will not be rosy and romantic 100 percent of the time. You will have disagreements and there will be seasons that feel less passionate. Outside of the home, external pressures such as a heavy workload or social obligations will keep you apart at times. Despite the joy and happiness that comes with the newlywed season, there’s still no promise of a perfect life. On the other hand, maybe you are rooted in a routine that doesn’t mesh well with your spouse’s life. Marriage might not mean changing your entire life to please another person. But it might mean making some sacrifices to ensure that both of you are happy. 2. Put effort into your marriage. Marriage should not be the death of dating. For those who think life will be perfect, this part might come easier, but it still requires work. Make sure you invest time into talking to your spouse. Commit to getting away together at least once per year—just the two of you. 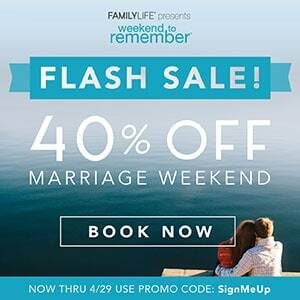 One great way to spend a weekend focusing on your marriage is to attend FamilyLife’s Weekend to Remember marriage getaway. 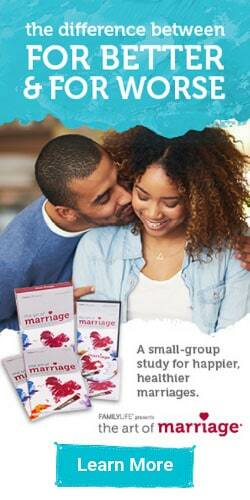 The weekend will help you reflect on your marriage and identify ways that you can strengthen it. Marriage is far deeper than a dating relationship, so don’t quit trying. For those that think life should continue as always, remember that your life really has changed. You have committed to a lifetime of loving another person. Don’t take that for granted and make sure you build a strong foundation for your marriage. 3. Develop a routine and life together. Married life should look different than single life, but just as sustainable. A perfect life is not realistic, but an enjoyable one that actively prioritizes marriage with time and attention toward each other can be. Make sure you have regular quality time together where you can support and love each other, and also pray together. After all, life isn’t all about rainbows and butterflies—your concept of marriage shouldn’t be about that either. If you want life to continue as before, you might not realize the importance of connecting with your spouse. Saying “I do” is one of the biggest decisions of your life and the first few months of marriage are crucial. The beginning of marriage offers the opportunity to build a foundation that will last—and it is when routines are built. 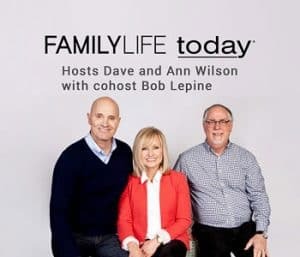 Developing routines for a marriage that are supportive and rooted in Christ will give you a better chance at having a strong marriage now and in the future. When the honeymoon ends, many newlyweds find themselves at home and unsure of how to move forward. Most already have an idea of what life should look like and find themselves unhappy when it doesn’t match those ideas. You should know that you are not alone. Marriage can be challenging, confusing, and sometimes even disappointing. But it’s a relationship that will transform you, if you let it. Saying “I do” is only the start to a lifetime of laughter, frustration, forgiveness, happiness, and deep joy. It’s worth it.